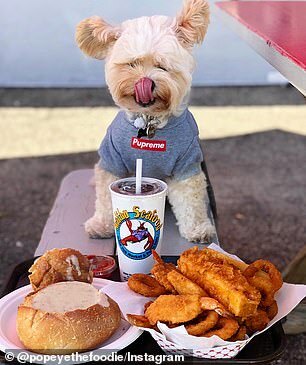 When a Los Angeles woman found a dirty stray dog wandering the streets of LA, she couldn’t have imagined that he was destined for Instagram stardom — or what’s more, that he’d find that fame for being a ‘foodie’. 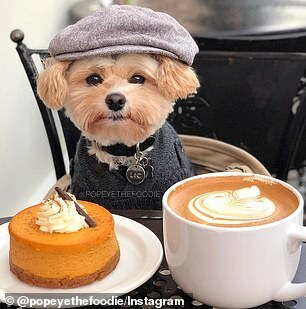 But now Popeye the Foodie Dog has 357,000 Instagram followers who track his trips to local restaurants, where he poses calmly with mouth-watering feasts laid out in front of him. 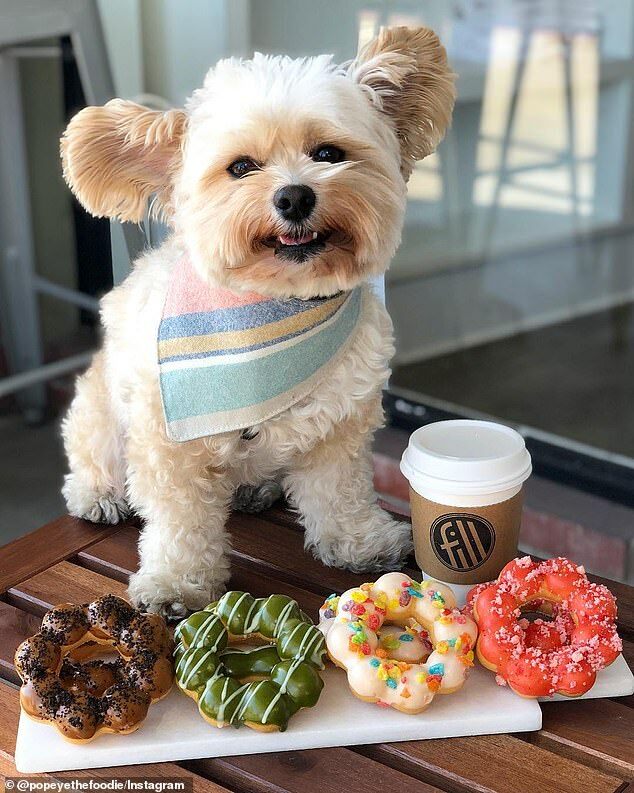 His owner, Ivy Diep, has even launched a line of merchandise baring the pup’s face as he appears to bite into a doughnut. But Popeye and food weren’t always a natural pair. 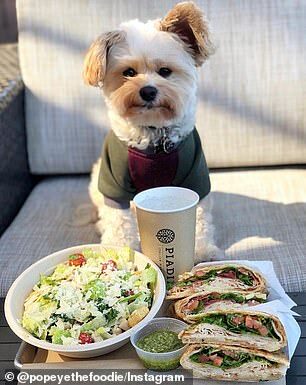 Still, they didn’t initially plan to take him all over the Los Angeles restaurant scene. 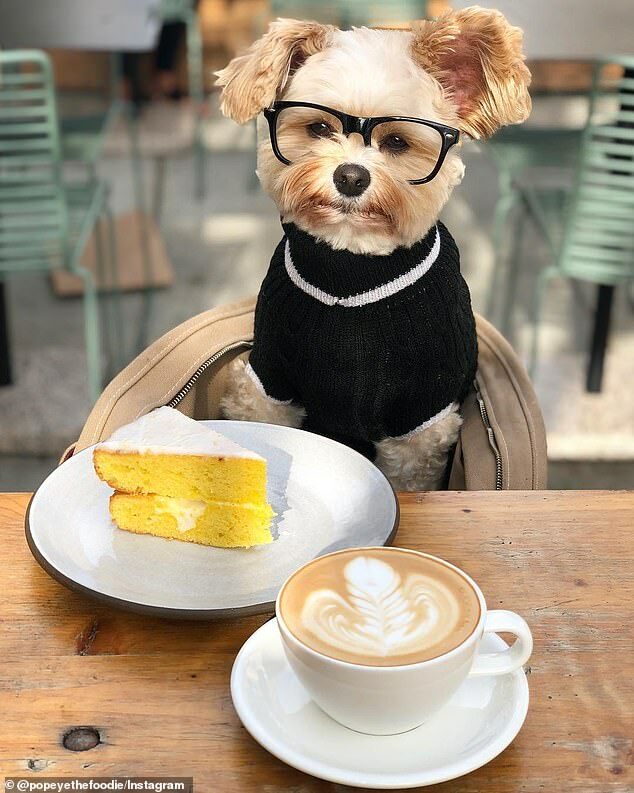 ‘[My friend] Jen and I liked to go on what we call “Instagram dates” and take pics of our food,’ she told BoredPanda. Soon, she started taking pictures of Popeye sitting at the table with them, posing with slices of cake with coffee, huge orders of burgers, bowls of soup, and boxes of macarons. 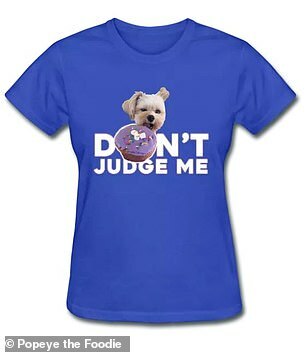 She’d dress him up, too, in tiny doggie sweaters, collared shirts, hats, scarves, and even glasses. 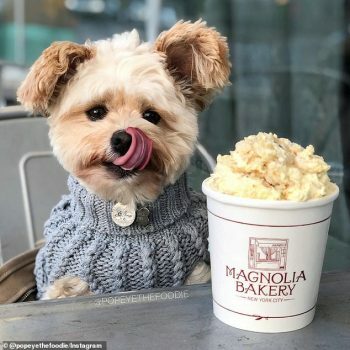 The pictures of a cute dog posing with tasty food quickly earned him fans in the hundreds of thousands. 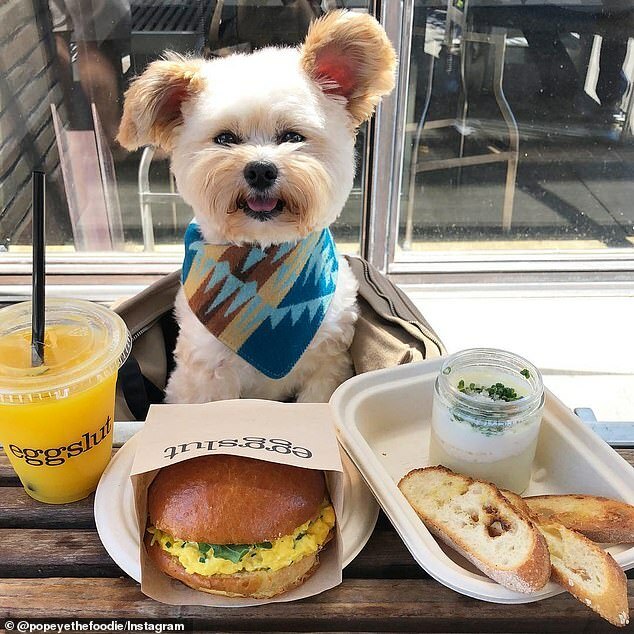 Sunny days: Ivy said she seeks out pet-friendly restaurants, and photos show the dog frequently sitting at tables outside. 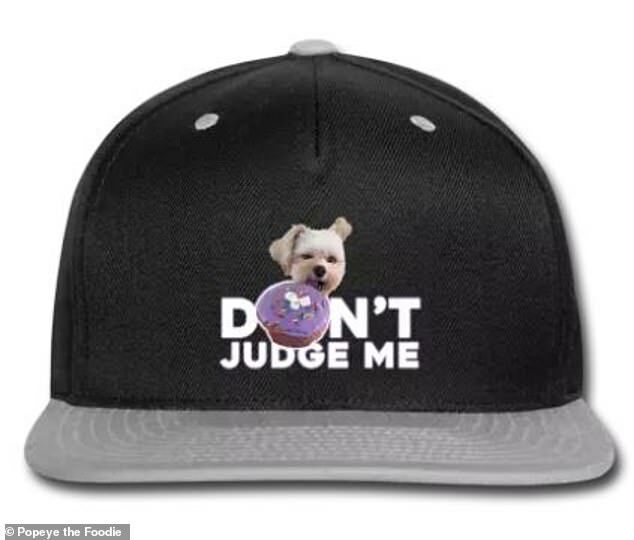 She’s even launched an online shop where she sells branded hats, shirts, and bags with the dog’s image. 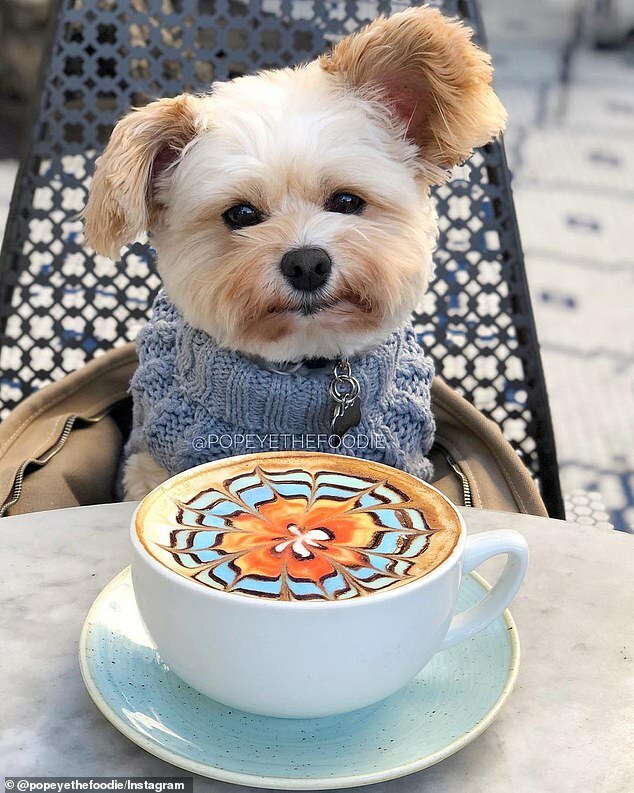 Speaking to The Dodo, Ivy said she seeks out pet-friendly restaurants, and photos show the dog frequently sitting at tables outside. 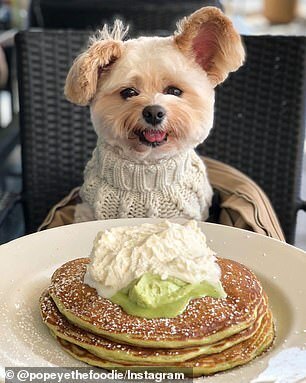 ‘Because the weather is pretty mild, many restaurants have outdoor patio seating, which mostly allows dogs,’ she said. 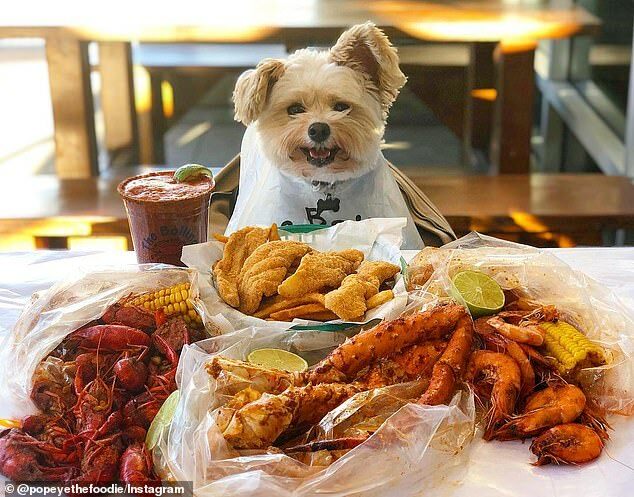 But though he pulls up a chair with his humans, he’s not eating everything at the table. 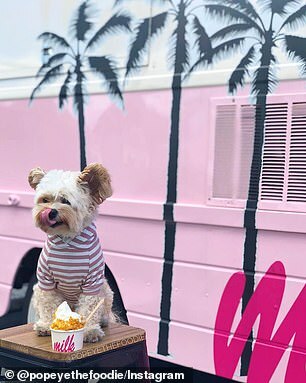 Ivy said he just gets nibbles of the foods that are safe for him to eat, with his favorite being chicken nuggets — especially from McDonald’s. 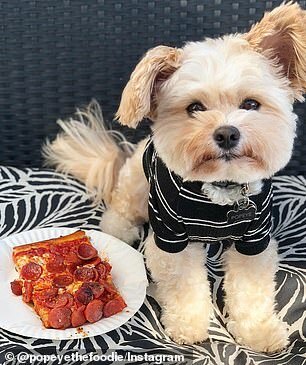 So while he does get to taste some of the more dog-friendly dishes, he’s not exactly eating all of the pizza, french fries, and doughnuts that he poses with. Interestingly, that happens to be the case for most human food bloggers, too, who don’t actually eat all the food that they post on social media. Another popular account that also has a cute mascot of sorts is Food Baby. 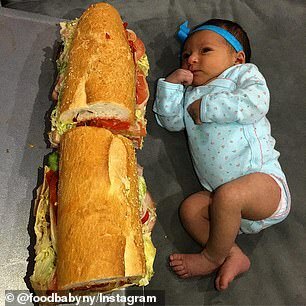 Mike Chau has over 312,000 Instagram followers who come for his tasty New York City restaurant intel — but also the cute pictures of his kids. 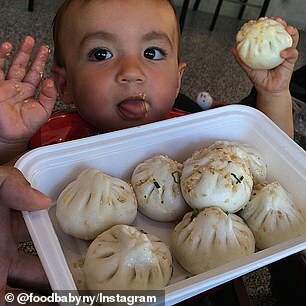 When Chau first started the @foodbabyny Instagram account, it was just him, his wife, and their son Matty going to restaurants all over town. 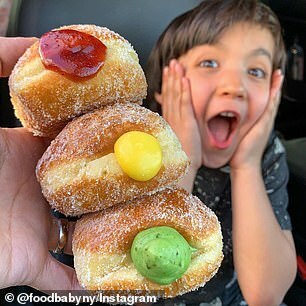 Chau told Eater in 2017 that rather than flood his followers with cute baby pictures and photos of his food, he combined them. 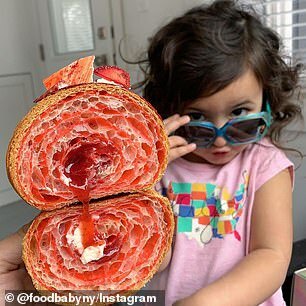 Matty has grown up before his fans’ eyes, and there have since been two more food babies added to the family: daughters Sammy and Nicole. 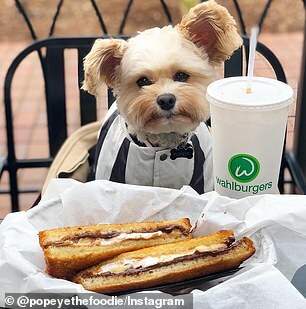 Popeye, though, seems to be the top trendsetter in the canine foodie market. 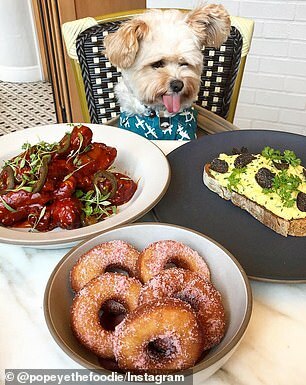 But while many of the treats he poses with are off-limits — like anything with chocolate — there are actually some fancy, gourmet dishes that would be right up the pup’s alley. 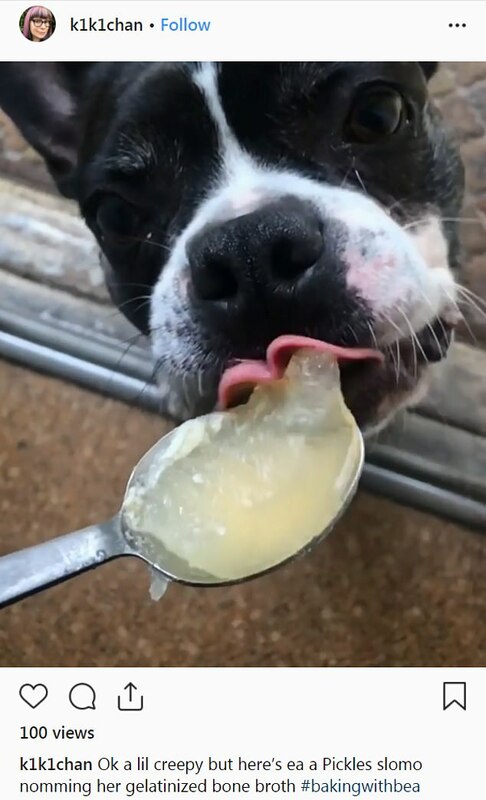 Rover, a website for dog owners, has embraced the bone broth craze and published a bone broth recipe formulated specifically for dogs. 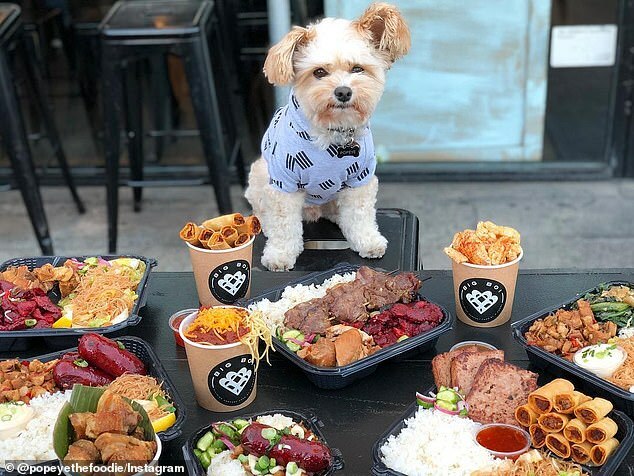 Kiki Kane, a ‘canine chef,’ shared the recipe for ‘InstantPot Beef and Pork Bone Broth for Dogs’ on the site this month. 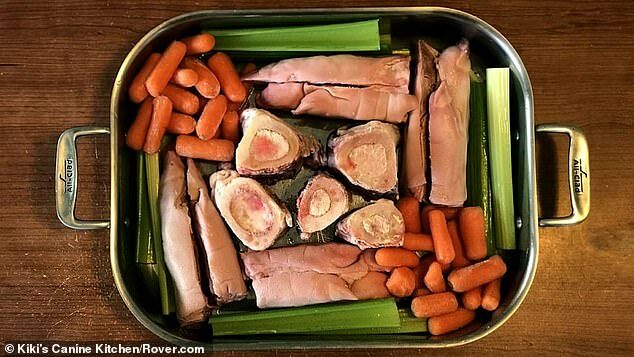 The recipe calls for beef marrow bones, raw pig’s feet, olive oil, celery, carrots, parsley, and apple cider vinegar. The meat and veggies are roasted for an hour before the other ingredients are added, and the whole thing cooks in an Instant Pot pressure cooker for four hours. 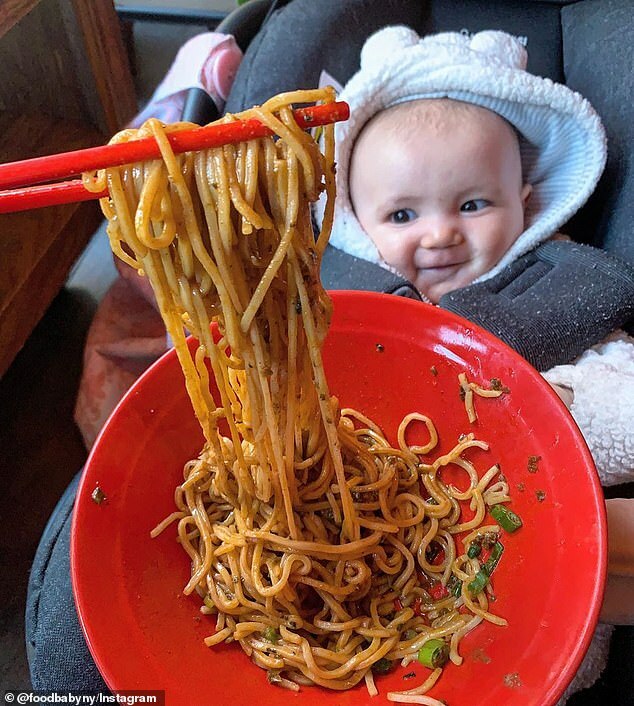 Kiki went on to say that yes, human can eat this too. So what exactly makes it a special bone broth recipe for dogs? 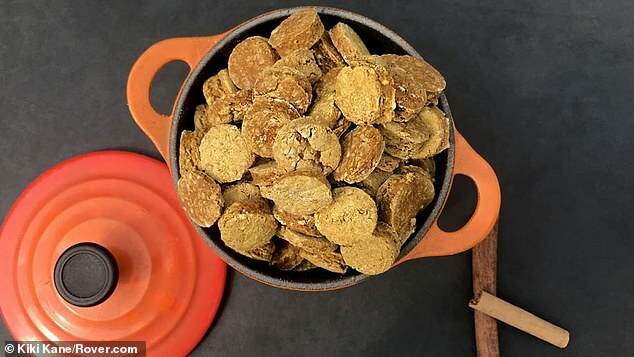 It’s made without onions and garlic, which are bad for canines. 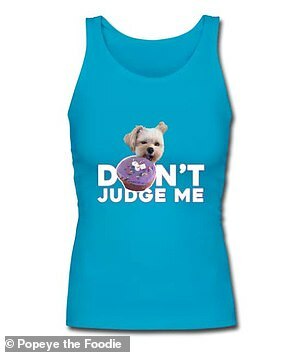 The site has actually published numerous recipes for dogs that span well beyond dog treats. 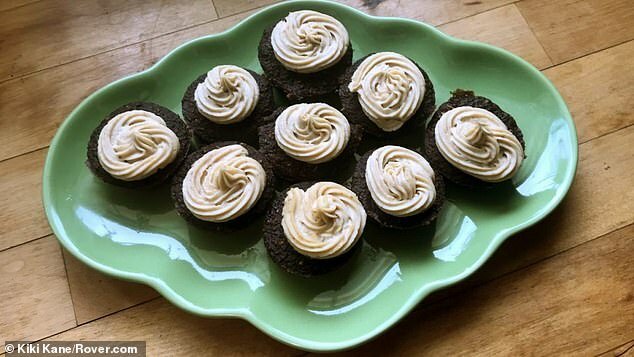 There’s one for homemade turkey meatballs (for dogs), cheesecake (for dogs), blueberry oat scones (for dogs), pumpkin spice cookies (for dogs), watermelon mint sherbet (for dogs), and carob cupcakes with peanut butter frosting (for dogs). 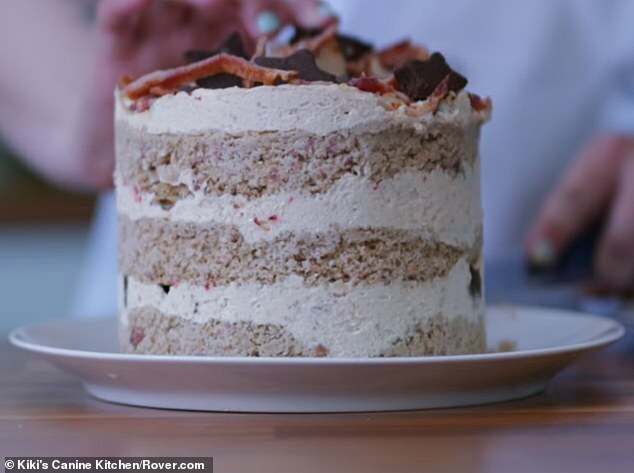 They even show users in one video how to make a birthday cake inspired by the trendy ones sold at Christina Tosi’s Milk Bar bakeries.